What is Letstrack bike tracking device? 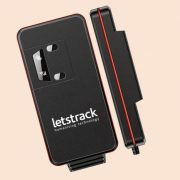 Letstrack bike tracking device is a GPS tracker that can use in any two wheelers such as MotorCycle, Scooty, Scooter etc. It can directly installed on the bike and use the engine power to get a charge. To track it, you can use the Letstrack GPS tracking app that allows an individual to monitor the bike location. The app is available for both iOS and Android Platform. Besides a Bike tracker, Letstrack also offered tracker for Cars and other vehicles including personal tracker devices. 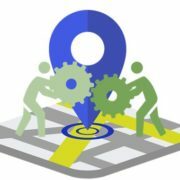 The main feature in which any tracking device should be best is the connectivity. It allows an owner or personal bike rider to track the location of an employee or friend who is using it. 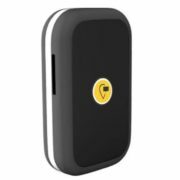 The Letstrack bike tracker has an inbuilt SIM slot that comes with pre-installed SIM of some third party to get the GPS service for the device. With the help of the app, a person can monitor the real-time location of 2 wheelers. To ensure better connectivity in every location, the Letstrack uses the GSM frequency band of 850/900/ to 1800/1900 MHZ. The Letstrack can be installed on any bike without any extra power charger. When the ignition ON, it uses the engine’s power while in standby mode or ignition off status it consumes the bike’s battery power to work. Also, it has an inbuilt battery for power backup that keeps the device work for some extra hours in case it unplugged from the bike’s battery. 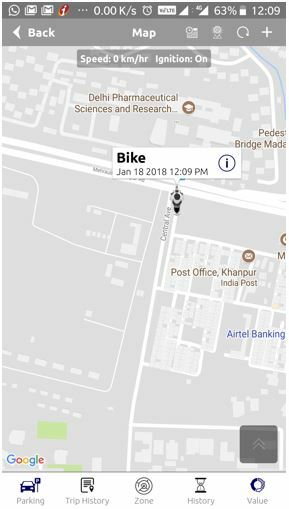 If you are an owner of some company and have distributed several bikes to employees for field work then you can track them and know where they are going during official hours. One can also set zone & speed notification alerts and if your bike exceeding any of them you will get an alert. Parking Notification is a process of sending the stationary location of your device installed on the bike. If anyone by any chance changes the position of your 2 wheelers than this device notifies you. Track your friends, family, employees as well as colleagues exact location in real-time. It is not possible to keep your eye on the tracking device every time, instead of that one can check the 24-hour history of tracking to get a complete view, where your bike been, the whole day. Letstrack tracking app enables you to create zones; whenever someone crosses that limited area you will get a notification. Set your own speed limits and get alerts whenever it reaches the maximum. With the ability of waterproofing, this device provides much more benefits with its unique features. Letstrack bike version is almost same as the Vehicle’s one. It is a small portable device with several wires that can directly attach to your engine ignition and battery for power. It can also track the engine’s off/On status. For testing this tracking device we used the Letstrack app on Android smartphone. Let’s discuss some core features and benefits of Letstrack those can operate easily on the App. You can directly get the address of the where the bike parked including the status whether it’s engine is on or off. It has zone option that can be set from the Letstrack app. You just need to enter the location & set the condition such as when you should get the alert; on entry or exit of the bike from that particular area for which you have created a zone. Even you can chat with friends using the Letstrack app via its own inbuilt chatting application for messaging, sending images, photo with a location, tracking, share the current location and share rides. If you are using multiple Letstrack devices, still you can track all of them using the single Letstrack application. In the status of the device, you get some valuable information about your vehicles such as whether its ignition is in ON/Off, Speed, Type of vehicle, battery status, Moving Status and current location. You can even track the live real time speed and location of your bike. 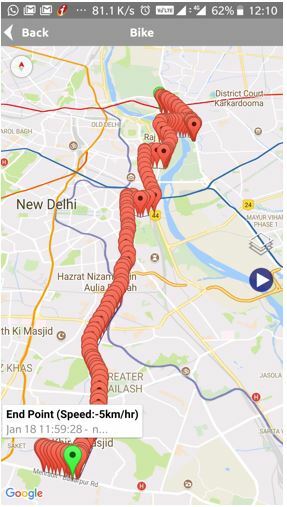 As I told you in the beginning of this article, if you do not have time to track your bike continuously then you can see the history to get a complete overview of biker ride locations and halts including speed, starting and ending point. The business owner those have employees in the field using the company’s vehicle can get huge benefits from it. The Letstrack gives complete information about the whole day trip under single page. The information it gives is about Total distance traveled by the rider, Average speed, Maximum speed, Engine On Time, Average Stop Time, Number of Stops, Fuel Consumption, And Total Fuel cost (approx). The plans offered by the company are affordable and reasonable. Because of GPS connectivity, the device uses a SIM. And just like the get the service from a SIM present in our phones; we need to pay for Letstrack as well but without spending some huge amount. Overall, the Letstrack bike tracker works efficiently and tailored nicely to work wonderfully with our two-wheelers. Personally, I like its Ignition status, zone alert and especially the Value feature that gives a complete view of your trips. Really Useful, customer awareness to choose right GPS.